India is touring South Africa for a complete of 3 Tests, 6 One Day Internationals and 3 T20Is from January 5. Series will start with three Tests from 5th January 2018. Three Test matches are to be played at Cape Town, Centurion and Johannesburg. Team India will be comfortable as they will be not playing at Durban; the most difficult ground for batsmen in Test in South Africa. 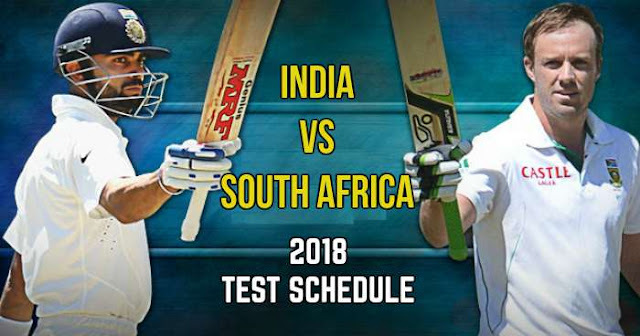 While India has not won any Test series in South Africa, they will be eyeing on it as the team is in great form; only lost an ODI against Sri Lanka in the last series. Also, India will be playing overseas after more than a year. On the other hand, South Africa had played last two series against Bangladesh and Zimbabwe which consisted of two Test matches each and South Africa was comfortable enough to win it.